Though I have discussed this topic before on here I really do feel it needs revisited...especially considering the time of year it is.. We are all planting are vegetable patches and trying to figure out the best possible way to do so....I mean we want to give them there very best start... My friend reminded me of this last night with an email about companion planting..she is working on a school project..Good luck..
Marigold companion planting enhances the growth of basil, broccoli, cabbage, cucumbers, eggplant, gourds, kale, potatoes, squash and tomatoes. Marigold also makes a good companion plant to melons because it deters beetles. 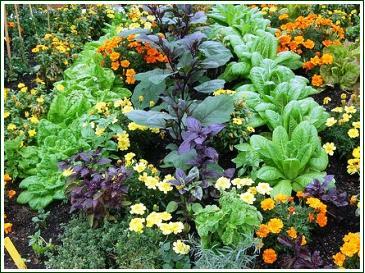 Beans and cabbage are listed as bad companion plants for marigolds. As you might have noticed, I listed cabbage on both the good companions and the bad companions lists. Like so many things in gardening, the experts often have differing opinions. Cabbage and I suspect it’s fellow Brassica broccoli appear to be questionable companions. Since neither of our conflicting sources mentioned why they felt positively or negatively about cabbage as a companion, it might be best to assume the worst and consider both broccoli and cabbage as bad companions for marigolds. 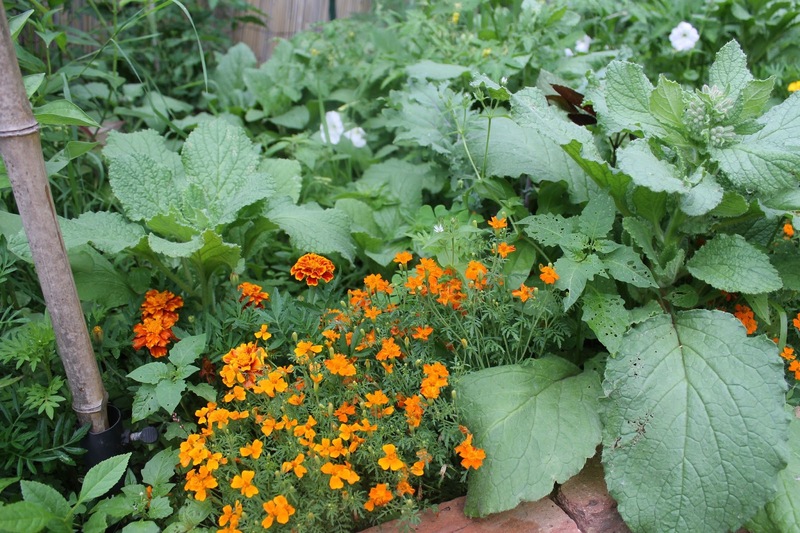 Marigolds have traditionally been used as borders around treasured flower beds and vegetable gardens. Scented varieties of marigold will deter beetles, beet leaf hoppers, Mexican bean beetle and nematodes. Pot marigold repels asparagus beetle and tomato worm and Mexican marigold is thought to repel rabbits. We found out the hard way that the newer hybrid marigolds have not retained this natural pest controlling scent. We purchased some light yellow plants and the ravenous aphids promptly destroyed them. Of course, I suppose, you could argue that the nasty little things were so busy eating our marigolds that they left our vegetable garden unmolested. Not all the news about marigold is good though. They do tend to attract spider mites and slugs. Marigolds as a Natural Pesticide. The roots of French marigolds produce a chemical that is so strong it is an effective pesticide for years after the plants are gone. Mexican marigolds produce a stronger version of this chemical which has the potential to inhibit the growth of some of the more tender herbs.